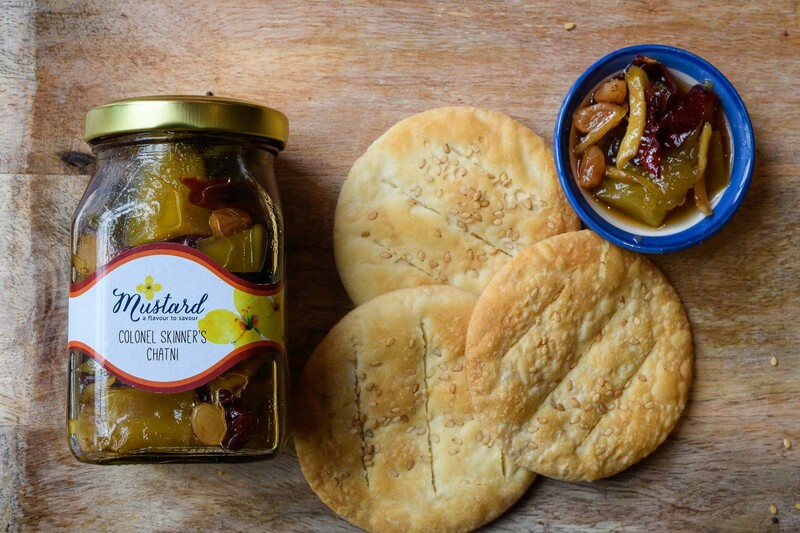 Shilpa Sharma and Punam Singh’s labour of love, Mustard, has been transported from Goa to Atria Mall, Worli, Mumbai. 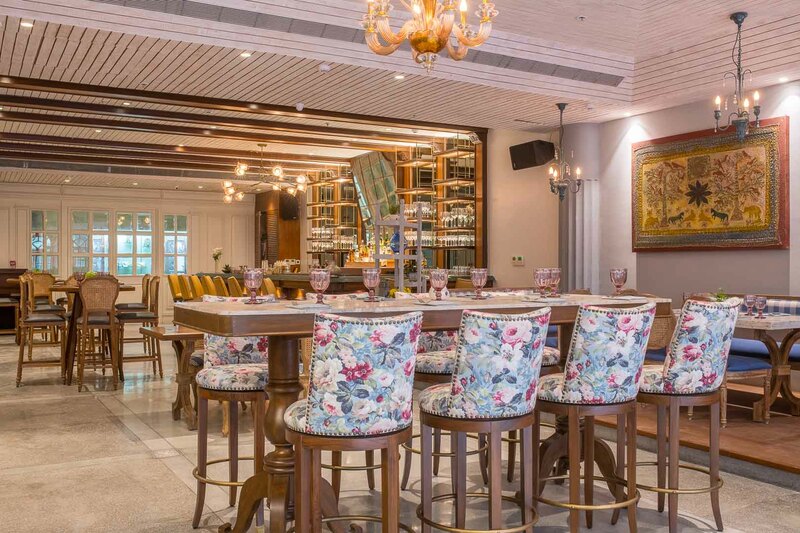 Inspired by the use of mustard in both Bengali and French cuisine, they have conceptualised a unique menu with consultant chefs Pritha Sen and Gregory Bazire. We walk in to find a space that is large but manages to retain a chic yet homely vibe with its charming niches and elegant artwork. We also spot micro green planters in a corner, which can be bought if you want to add a touch of green to your home. Making our way to our table, we are greeted with five homemade varieties of bread and three different types of mustard in keeping with the restaurant’s ethos. We start our meal with a selection of appetizers in the form of Bengali small plates. First up is the Bengal Mezze Platter served with Baqarkhani roti, delicious Chingri Bata or steamed and mashed freshwater prawns, followed by some Palong sager bhorta, which comprised steamed spinach blended with fried garlic along with a couple other dips. The Cocktail Luchi bites, a cocktail-sized luchi served with baby potato dum, is an absolute must try. The Kaanchkolar Shammi Kebab made from green banana as well as the Mangsher Bhaja Tikia or pan fried mutton patties were delectable. We cannot leave out the equally delish French small plates. 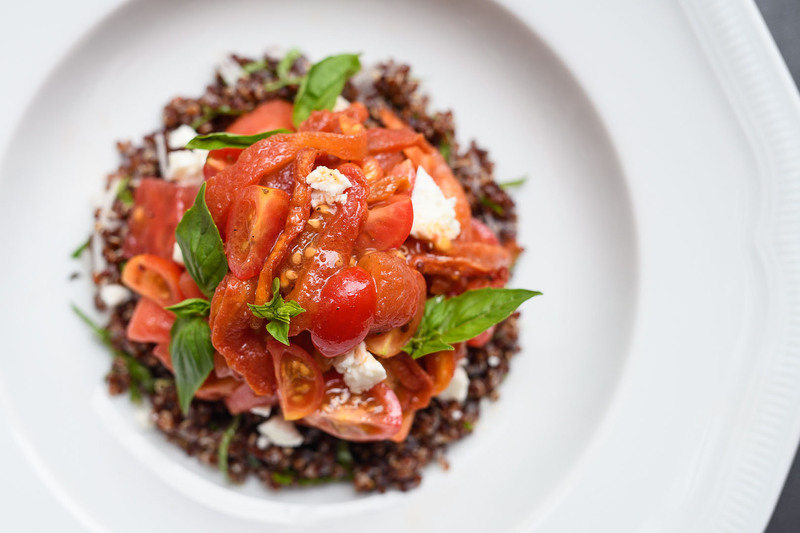 We sampled the Tomato Tartare that consisted of four kinds of tomatoes served with cherry vinegar, extra virgin olive oil, and made into a salad with avocado and chilled quinoa. Croquenbouche de Langouste Thermidor was a delicious savoury puff choux with mushroom duxelle, thermidor sauce, and poached lobster slices. Moving on to the mains, we started with Mangsher Husseini Curry (boneless mutton curry) served with wafer thin, melt-in-the-mouth parathas and a chana dal. Tender mutton morsels accompanied by a flavourful gravy satisfied our love for Bengali food. 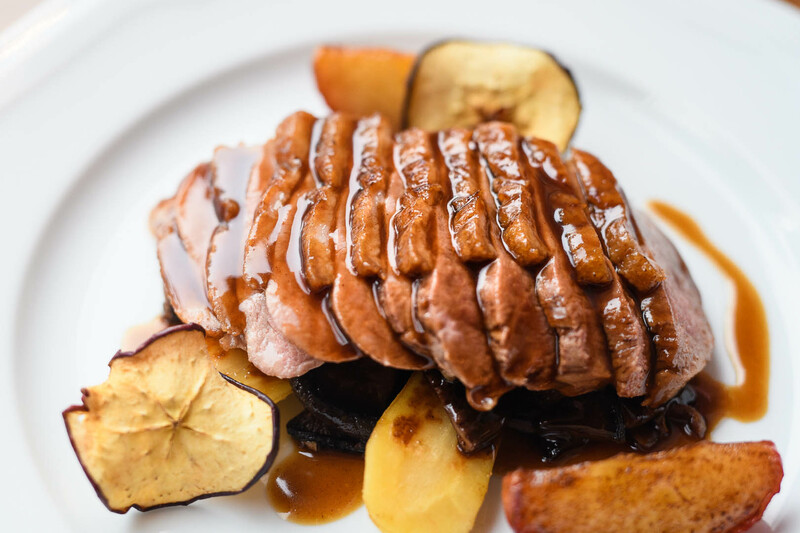 Then, onto the French big plates, we decided to try the Gratin d’Aubergine, a sumptuous dish consisting of baked aubergine with a feta crumble and a chunky concasse made from the ripest tomatoes along with the Emincé de Magret de Canard or duck breast slices with caramelized apple, sautéed mushrooms and port wine jus. Although we barely had any place to try anything else, we could not resist the desserts. Poire Belle Helene was a fantastic and unusual combination of poached pears with ice cream and chocolate sauce and coconut sandesh. Each dish had a story to tell. 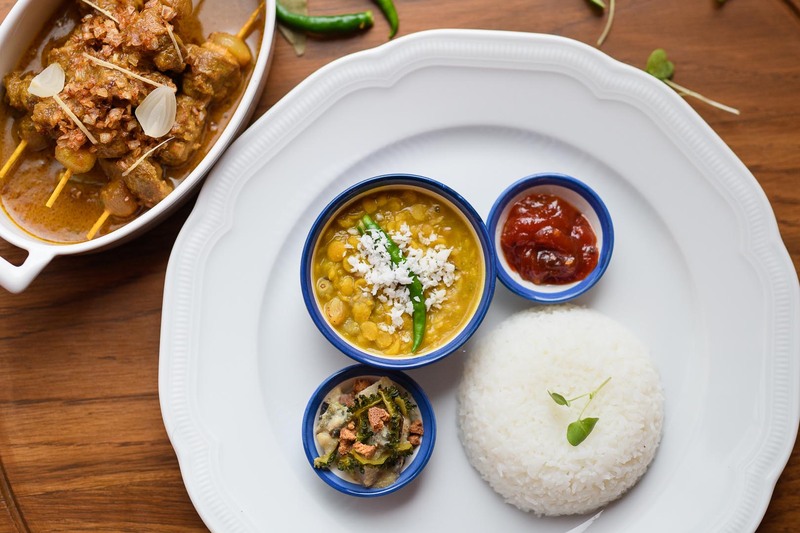 Previously, we could never imagine the similarities between Bengali and French cuisine, but we found out that both place importance on retaining the flavour of the core ingredients and the meals are eaten course by course. We definitely recommend you give this a try when it opens end July.